I currently have about 350 magazines and comics. I do have the No.1 USA Topp's comic. The USA ashcan special issue 'Do not open until Xmas'. I do have all the UK comics and the variant covers. 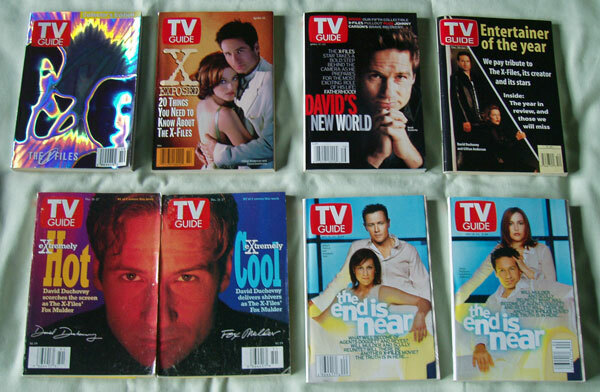 The bulk of the magazines are copies of things like SFX, TV Zone, Dreamwatch and Cult TV. The ones I have all feature XF in there some where. The earliest I have is a 1995 Cable Guide featuring David Duchovny. 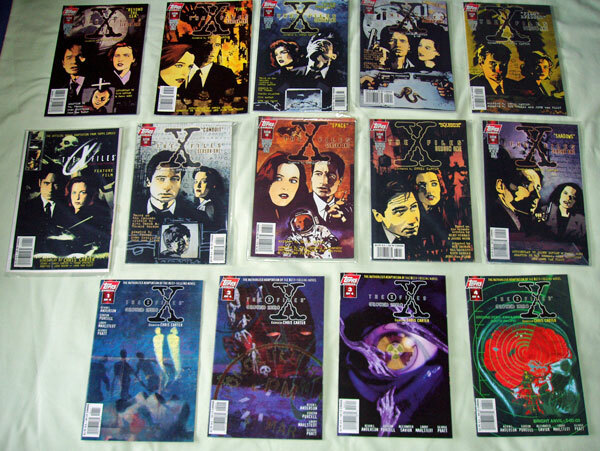 The more unusual ones I have are the Australian X-Man, which is entirely devoted to David Duchovny. 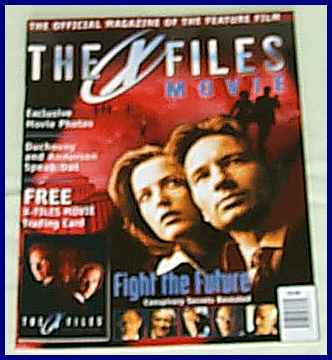 The US Box magazine, which was the second mag, to print 'those', pictures of David Duchovny and Gillian Anderson in bed and the US magazine which again features DD a lot. The Details mag. 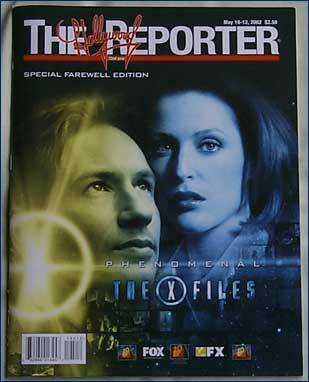 has a nice hologram on the front, which if you move it slowly transforms between David Duchovny and an alien. 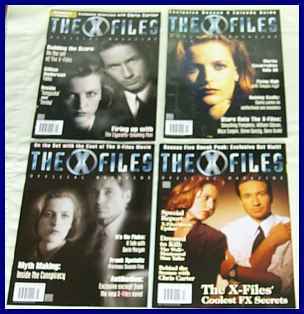 mark nine seasons of the X-Files. 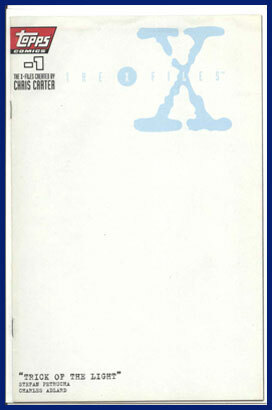 Issued May 10, 2002. This is the first issue US comic and the ashcan edition which was given away free with the Star Wars galaxy magazine. 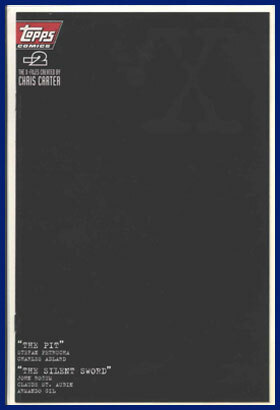 The black cover is the minus 2 edition. 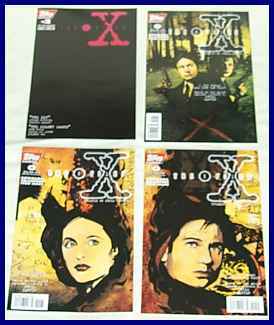 The others are the three variant O comic covers. 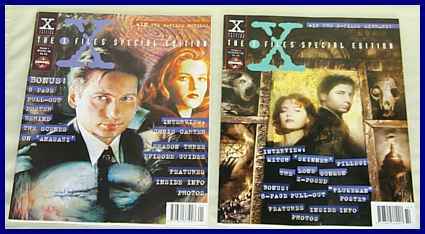 These are the 1996 specials, each with two complete stories. 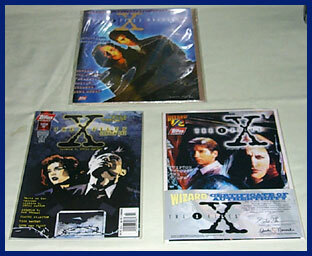 The four issues of the X-Files premier magazine. The special edition issued when the movie was first shown in the UK. 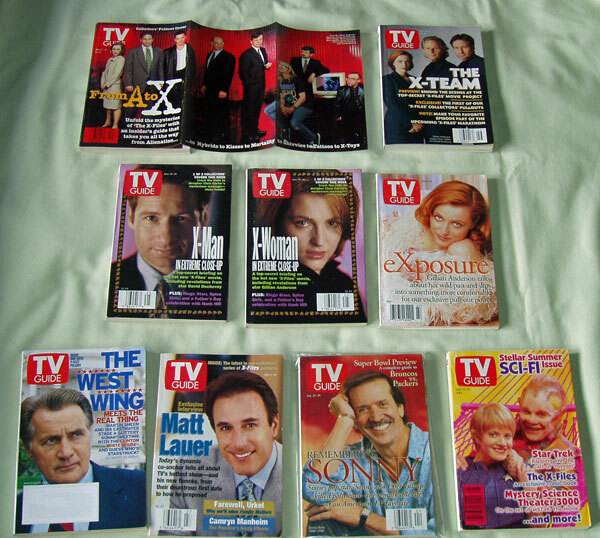 Some of the episode and novel comics.